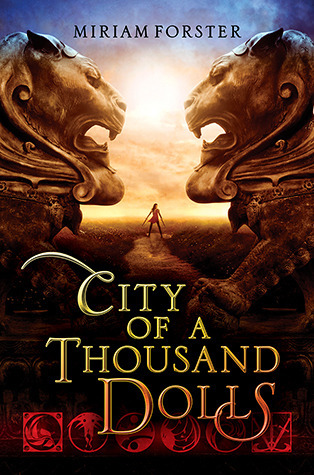 When I first started to read City of a Thousand Dolls, I was reminded in part of the Kushiel series’ by Jacqueline Carey. There was something about Nisha that reminded me of Phaedre – the idea of the abandoned girl finding her way in the world and eventually knowing where she belongs. I also liked the idea of the city being the place where the abandoned children are sent. It made me wonder, in places like China, where there is a limit on how many children families can have, what would have happened, if children couldn’t be adopted or what to do with them. So it was an interesting take on a problem that I see could easily occur in the world in the future. I have to admit that the reveal for the ultimate mystery was a bit of a disappointment – I had the potential suspects narrowed down to three, early on in the book, so for me it was more of a confirmation rather than a reveal. This was a bit disappointing for me – I was hoping for some out of the blue antagonist – even the ultimate actions of the main characters were fairly obvious as to what was going to happen. However, the world building was intriguing, I definitely want to read more in the series when the books are released. Overall, I’d give it 3.5 stars, but rounding up to 4.